Registering to vote in North Carolina is easy. 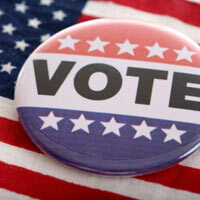 The state offers several ways to complete and submit your voter registration. In Person - You may register to vote at the Board of Elections in Pittsbo ro or at a DMV (as long as you are also conducting DMV business). You may also register to vote my mail. Please click HERE to fill out a registration form and instructions. For complete information on other means of registration you can call the board of elections or visit the North Carolina Board of elections webpage.